1 Bedroom Flat For Sale in Seaton for Guide Price £95,000. Situated in the heart of the town centre is this well presented top floor apartment. 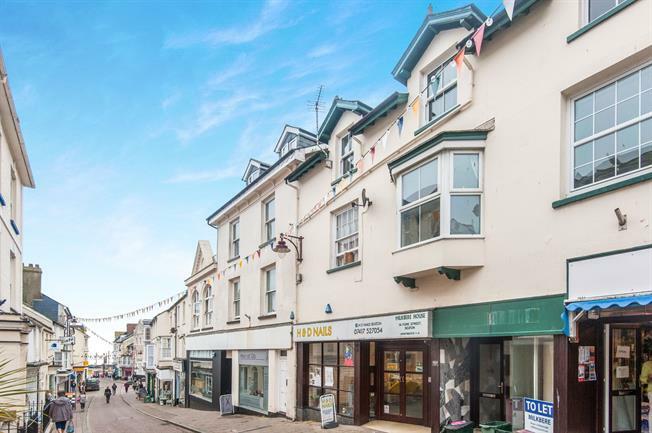 The property is within short walking distance to the seafront and beach, alongside the towns amenities which include supermarkets, a variety of small shops, restaurants / cafes, doctors surgeries, dentists & more. The accommodation briefly comprises: an open plan Lounge / Kitchen, one double bedroom and a modern fitted shower room. The owner has recently updated the apartment throughout, and further benefits include Upvc double glazed windows and electric heating.